"Released am I, monks, from all ties whether human or divine. You also are delivered from fetters whether human or divine. Go now and wander for the welfare and happiness of many, out of compassion for the world, for the gain, welfare and happiness of gods and men. Let not two of you proceed in the same direction. Proclaim the Dhamma that is excellent in the beginning, excellent in the middle, excellent in the end, possessed of meaning and letter and utterly perfect. Proclaim the life of purity, the holy life, consummate and pure. There are beings with little dust in their eyes who will be lost through not hearing the Dhamma. There are beings who will understand the Dhamma. I shall go to Uruvela, to Senanigama to teach the Dhamma" (Vinaya I.21). The second Exhortation was made just before He passed away at Kusinara. In fact they were his last words. He said: "Behold O Bhikkhus, I exhort you. Subject to change are all component things. Work out your deliverance with diligence" (Digha Nikaya, sutta 16). In the first exhortation, the Buddha exhorted the community of monks to dedicate themselves to a life of service for the moral upliftment and the spiritual well being of mankind. In the second, He exhorted them to realize the actual nature of things (yathabhuta) and to strive with earnestness and mindfulness to attain by their own efforts, the Supreme Bliss of Nibbana. It must be said, however, that these two exhortations are not mutually exclusive. They are but the two aspects of a monk's discipline and service, i.e. to live the Holy Life himself and proclaim the Holy Life to others. It is to the lasting credit of the Maha Sangha that throughout a long period of twenty five centuries, they have followed dutifully the exhortations of the Buddha and proclaimed the Gospel of lovingkindness, tolerance, goodwill and self-discipline, inward peace and ultimate liberation (vimutti). This was mainly due to the indefatigable efforts of the Maha Sangha. Our gratitude therefore must go to the Maha Sangha, firstly, for preserving and bringing down by oral tradition for nearly twenty five centuries the Word of the Buddha with the least amount of distortion and accretion. The greater is the credit due to the Maha Sangha of Sri Lanka for having committed the Tri Pitaka (The Buddhist Cannon) to writing and for having written commentaries of various aspects of the Dhamma for the lasting benefit of mankind. 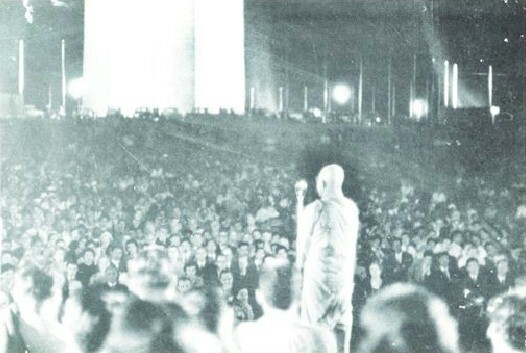 But for the Maha Sangha of this country who committed the Dhamma to writing and kept the Flame of the Dhamma burning under all vicissitudes and all adverse conditions, it is doubtful whether Theravada Buddhism would have become a World Religion as it is today. It is to this lineage of the Buddha Putras that Venerable Narada Maha Thera, the former Superior of Vajirarama, belongs. He is a monk who has acted in conformity with the Blessed One's Exhortation not only by himself living an exemplary, disciplined and saintly life, but also by spending the greater part of his life in propagating the Buddha Dhamma here and abroad, both by his preaching and his writings. The Venerable Narada Thera needs no introduction to the people of Sri Lanka. His name has been a household word among the Buddhists of this country of over half a century. He is popular among them as a preacher who speaks not only to their minds but also to their hearts. He appeals to the good and noble in man in order to make him better and nobler. For him there is good in every mind. They know him as a preacher who has the ability to explain the most abstruse points in the Abhidhamma – Buddhist Philosophy and Psychology in the simplest language so that even a person unfamiliar with Buddhism can understand. He speaks in measured tones and with carefully chosen words, and thus commands the attention of the listeners. His writings are equally explicit and pellucid. Most western critics admire Buddhism for what they call its sweet reasonableness. Verily, the Venerable Narada is an embodiment of this sweet reasonableness. Owing to his indefatigable Dharmaduta (missionary) work abroad, and also owing to his many books on Buddhism, the Venerable Narada Thera is equally well known in Buddhist circles overseas and also among those who are sympathetic towards Buddhism. He was born on July 14, 1898 into a middle class family at Kotahena, a predominantly Roman Catholic suburb of Colombo. As a matter of fact, Kotahena is the place where the Cathedral of the Roman Catholic Arch-diocese of Colombo is located. His father was Kalonis Perera; his mother, Pabilina de Silva. He was named Sumanapala at birth. He had his early education at a school run by the Society for Promoting Christian Knowledge (S.P.C.K.) at Kotahena and later joined St. Benedict's College also at Kotahena, an institution run by the Brothers of the Company of De La Salle. There among other secular subjects he studied the Christian Scriptures and Apologetics. One of his Preceptors, Rev. Brother James who passed away in 1977, was so impressed with young Sumanapala's keen interest in these subjects as well as his quiet demeanor and exemplary behavior that he once told him very seriously that his real vocation lay in the Roman Catholic Priesthood. But his destiny was to be otherwise, though in a parallel capacity, in the Religion of his forefathers. In fact, the seed of the idea of entering the Order of the Sangha had been already planted in his mind by an uncle of his who was a devout Buddhist and one who knew the Dhamma very well. At the time he was attending the English School, he also began to study Sanskrit slokas (Stanzas) under the late Venerable Palita Maha Thera, a brother pupil of the late Vajiranana Maha Nayaka Thera. He also attended the Sunday School at Paramananda Vihara, Kotahena. These studies were a prelude to his becoming a novice in the Order of the Sangha (Samanera). The late Vajiranana Maha Nayaka Thera was a saint in the sense of a person who lived the Holy Life indicated in the Buddha's Dhamma. He was also an erudite scholar in Pali, Sinhala and Sanskrit. He was a Sinhala poet of no mean order. He was also a great disciplinarian. The Maha Nayaka Thera was friend, guide and philosopher to all who came to him, no matter whether he know them or not, and no matter whether they were Buddhists or not. He was also a great Equalitarian (Samanatmatavadi). He treated with the same courtesy and the same lovingkindness, the rich and the poor, the high and the low, the great and the small. Pelene Maha Nayake Thera also introduced a new technique in preaching short sermons in simple language. It is under such a teacher that young Sumanapala received ordination at the age of 18, under the name Narada. 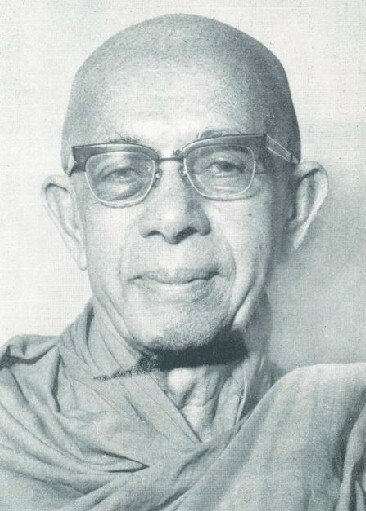 His preceptor at the ordination was the Venerable Vihayacariya Veragampita Siri Revata Maha Thera, and his Dhammacariya was Pelene Vajiranana Maha Nayaka Thera. He studied Abhidhamma under Pelene Mahanayaka and Arangala Siridhamma Maha Theras. He also studied for the Pracina (Oriental Languages), but did not proceed very far. Ven. Narada received Upasampada or Higher Ordination at the age of 20. He later joined the Ceylon University College as an external student and followed the courses in Ethics, Logic and Philosophy, all subjects which were later to be useful to him as a Buddhist Dharmaduta (Missionary). Narada Thera joined the 'Servants of the Buddha' society founded by the late Dr. Cassius Pereira and actively participated in the weekly dhamma discussions organized by it. It is really here that the foundation was laid for the missionary activities of the young bhikkhu. In 1929 at the age of 31, an opportunity arose for the Venerable Narada Thera to go overseas. A public function was organized by the late Anagarika Dhammapala to celebrate the opening of the newly built Mulagandhakuti Vihara at Saranath, Benares, India. The Venerable Narada was one of the members of the delegation selected to represent Sri Lanka. At the public meeting which ensued, the late Venerable Kahawe Ratanasara Nayaka Thera, Principal of Vidyodaya Pirivena presided. The Venerable Ratanasara was a great Oriental Scholar, but he did not know English. So the burden of conducting the proceedings in English fell on the Venerable Narada. It was an unforgettable experience for him. It was at this meeting that Venerable Narada first met the late Pandit Jawaharlal Nehru who later became the first Prime Minister of India. Sometime later, Venerable Narada Thera went to China and Cambodia, Laos, Vietnam and other South East Asian countries on Dharmaduta Missions and was received warmly by the peoples of those countries including the Royalty. The King of Cambodia conferred on him the religious title, 'Siri Maha Sadhu". A Hindu Priest called Mahanta was occupying Buddhagaya, the hallowed place where the Blessed One attained Enlightenment, and claiming it as his private property. He had converted the place into a Hindu Shrine. The Maha Bodhi Society under the leadership of the Anagarika Dhammapala had been agitating and litigating for the return of the shrine to the Buddhists, its rightful owners. A delegation was sent from Sri Lanka to discuss with Mahanta to find a peaceful solution to the question. The delegation comprised Venerable Narada Thera, the late Dr. Cassius Pereira, the late Mr. A. Ratnayake and the late Mr. Neil Hewaviratne. The Venerable Narada Maha Thera's noble and indefatigable work in the course of the Buddha Dhamma in Sri Lanka and abroad has been varied, covers a period of over half a century and has taken him to many foreign countries. A full account of his work there would cover a volume in itself. However, three memorable events in this connection must be mentioned. First is the Ven'ble Mahathera's Dharmaduta work in England and important event connected therewith. It will be remembered that in the year 1956 of the Christian era, the 2,500th year after the Parinibbana of the Buddha was celebrated the world over. In that year, thanks to the initiative, enterprise and munificence of the late Sir Cyril de Zoysa, the London Buddhist Vihara in Ovington Garden, Kensington was inaugurated. At the request of Sir Cyril, the Ven. Narada proceeded to England to declare open the Vihara and to organize the work there. He was the first resident monk of the Vihara and during the period of his stay there he unceasingly worked to spread the Buddha's message of universal love, compassion and peace. Second is his visit to China on a cultural mission. There he was warmly welcomed by the late Prime Minister Chou En Lai. He had a friendly and absorbing discussion with the great leader on religion and on the materialistic view of life. It was an unforgettable experience for the Ven. Narada. Third is his Dharmaduta work in the United States of America. Once while the Ven. Narada was there, he was invited to speak on the Buddha and his religio-philosophy at the Washington Monument in Washington DC. There was a mammoth gathering at this meeting. Although he passed away (on October the 2nd, 1983, aged 86 years) he has left a legacy of the Buddhadhamma for the world and its future generations. His contributions to various journals, both in English and in Sinhala are prolific. He brought the teachings of the Buddha to many points in the world through his Dhamma books, and many articles. He has also left a useful tool for newcomers to the Dhamma, or those seeking to more deeply understand the Pali Canon – his book "An Elementary Pali Course" – which is a staple for training new monks, as well as for study by lay-people. It is also available online.